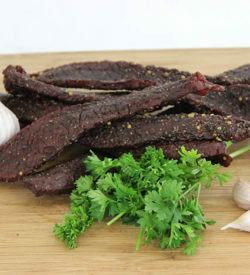 This box features an assortment of five different flavors of our “Texas Best” jerky. 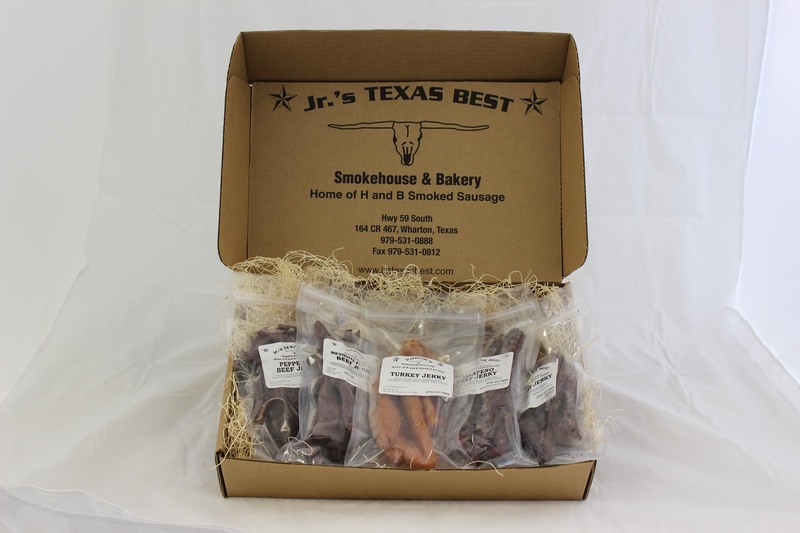 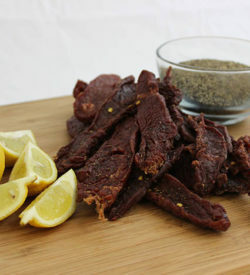 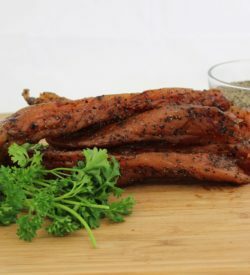 The box includes our top five selling flavors: peppered beef jerky, peppered turkey jerky, bohemian garlic beef jerky, mesquite beef jerky and hot and spicy beef jerky. 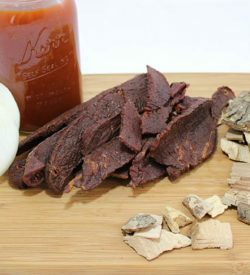 Choose ¼ lb or ½ lb of each flavor.